Gotta see more? You can purchase Grace's Pictures on Amazon and read a preview right now! Cindy Thomson is a writer and an avid genealogy enthusiast. Her love of history and her Scots-Irish heritage have inspired much of her writing, including her Ellis Island series with Tyndale House. Cindy is also the author of Brigid of Irelandand Celtic Wisdom: Treasures from Ireland. She combined her love of history and baseball to co-author the biographyThree Finger: The Mordecai Brown Story, which was a finalist for the Society for American Baseball Research’s Larry Ritter Book Award. In addition to books, Cindy has written on a regular basis for numerous online and print publications and is a mentor for the Jerry B. Jenkins Christian Writers Guild. 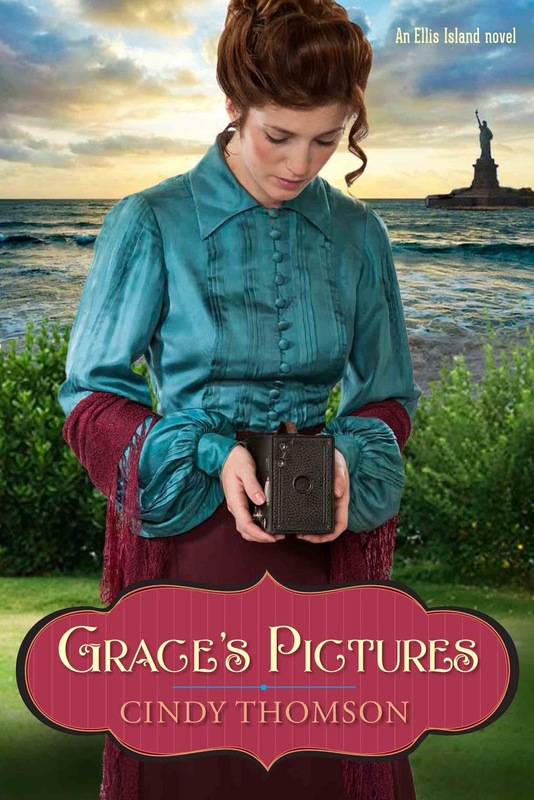 She is also a member of American Christian Fiction Writers and the Historical Novel Society. Cindy and her husband have three grown sons and live in central Ohio. Get to know Cindy at her blog, on Facebook, on Twitter, or on Pinterest. Click here for a great interview with Cindy on Tyndale's website. Be sure to visit COTT for next month's clash!